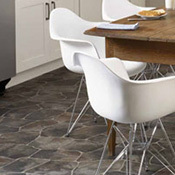 Tarkett Vinyl Floors is made for real life. 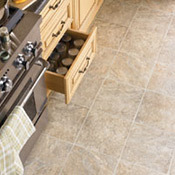 Not only does Tarkett build practical, beautiful, everyday floors, they built their reputation and company by doing just that. 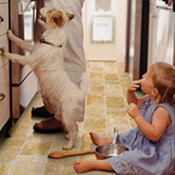 As the world’s leading manufacturer of resilient vinyl flooring, Tarkett knows what it takes to stand up to your day-to-day. 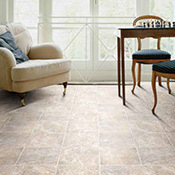 So they engineered vinyl flooring that is wear, tear, rip and gouge-resistant. And, is easy to maintain. Cleanup is a breeze. 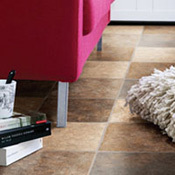 But Tarkett Vinyl Flooring doesn’t stop at practical. 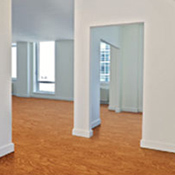 We go beyond brilliant performance and insist, just like you, on making your living spaces look amazing. 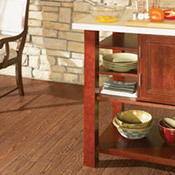 Tarkett offers realistic designs – that really look like wood, stone and tile. 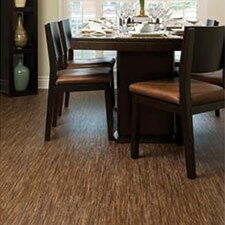 Plus, Tarkett Vinyl is available in a wide variety of color options.